For 50 years, the amount of computing power that can fit on a chip has increased at a remarkably constant rate. The term for this phenomenon is Moore's Law. But all signs indicate that a slowdown is happening, and Dov Frohman, a towering veteran of the semiconductor industry, believes the implications are dire. 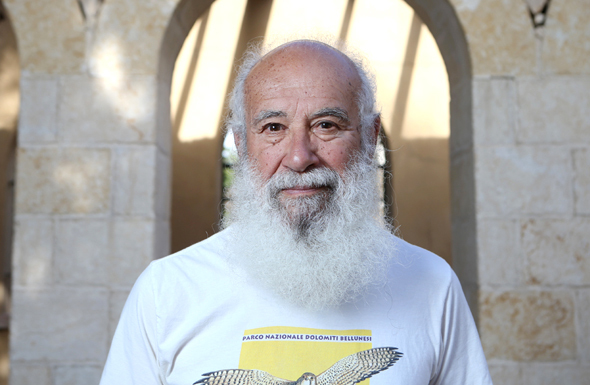 "There is no doubt that after 50 years of driving the computer revolution at an incredible pace, this revolution is slowing down," Mr. Frohman, 78, said in an interview with Calcalist during a visit to Israel last month. "It will impact economic growth worldwide," he said. Mr. Frohman said the slowdown would also impact the Israeli economy, which lists computer chips as one of its major exports. He began his studies at Technion – Israel Institute of Technology Technion and then pursued graduate studies at the University of California Berkeley in the 1960s. After Berkeley, Mr. Frohmann went to work in Silicon Valley when it was still in its infancy. He joined Fairchild Semiconductor, where Gordon Moore came up with his famous prediction. In 1969, Mr. Frohman followed Mr. Moore to his new venture: Intel. There he also worked alongside Robert Noyce and Andy Grove. Over the years, Mr. Frohman made fundamental contributions to the field of computing. He worked on semiconductor-based memory components and invented the first EPROM, or erasable memory module. In 1974, Mr. Frohman convinced the company to set up operations in Israel, and he became Intel’s top executive in the country. Today, the company employs about 10,200 people in Israel at three research and development centers and one manufacturing facility. Intel is responsible for $3.4 billion in exports from Israel, about 8% of the country’s total tech exports, according to the company. Central to many innovations in the industry Mr. Frohman believes that computer chips have hit a limit. Q: What will happen then? A: The leveling off of Moore’s Law will lead to a significant slowdown in economic growth, in addition to climate change, depletion of energy resources, population growth, widening gaps between the rich and the poor, increase in global debt, environmental problems and fast pace of change. In a no-growth economy, the pace of automation will naturally slow down, but the consequences will be mainly in social tensions. Either there will be some redistribution of wealth, an unlikely eventuality, or conflicts and warfare. In addition, our lack of adaptability to climate and social changes will result in a major crisis with unknown results. Q: How will Israel be impacted? A: The bubble of “Startup Nation” will roll downhill and disappear once the economy slows down. The Israeli government, business tycoons and to some extent the media are driving a culture of addiction to making money by any means. The idols of the young generation are the managers of startups who sell their company, while avoiding the difficult task of contributing to economic growth. “Startup Nation” became the golden calf of the young generation and society at large while ignoring the destructive impact of loss of knowledge, employment and mainly the contribution to widening the perilous social gap. Q: Will the leveling off of Moore’s Law impact Intel? A:It will have an impact, but Intel was one of the first to point out the slow down, so it is reasonable to assume that they are preparing for it.